This entry was posted in Recreational Drugs, Success Story and tagged Substance Abuse on August 18, 2010 by ATMC Team. The program at ATMC not just saved my entire life, but it allowed me also to be appreciative of life for once in many years. With nearly 10 years of chronic methamphetamine use along with many years taking antipsychotic and Xanax prescriptions, I was at rock bottom. I knew something needed to be done in order for me to live. Me and my family did some research on detox programs all over the country for several months before we decided I would become an inpatient resident at ATMC in Sedona, AZ. June 12, 2010 was when I came to ATMC, with a mindset that was skeptical of being capable of becoming 100% medication free. Street drugs as well as medications had been a big aspect in my life that I did not know how I could live without drugs. This is what my mind-state was like at the start of the detox program at ATMC. Now I am 100% drug and medication free, I have been clean now for a couple of months, and with no need for using again. The program at ATMC not just saved my entire life, but it allowed me also to be appreciative of life for once in many years. 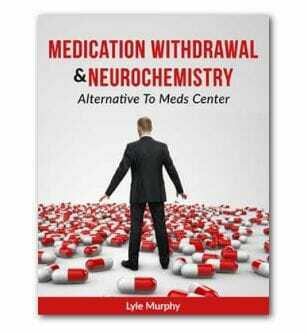 So, several aspects of ATMC’s program played their parts in my effective recovery. With the knowledgeable, caring staff double checking that I was getting the correct supplements every day, and hours of sweating many toxins out and the organic meals, I am so thankful that I had enough courage to come through the doors of ATMC to begin with. In the 8 weeks I spent as a resident at ATMC, I was educated about how toxic our world is and learned more natural, healthier ways of living. This resulted in a more fulfilling happier lifestyle that I can look forward to for many years. 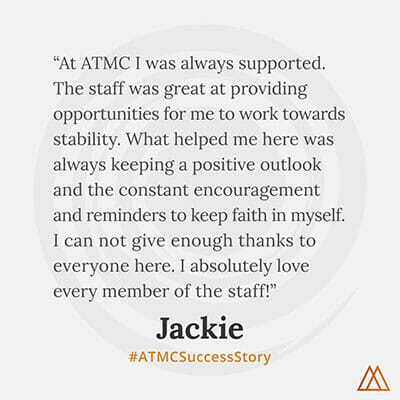 Thanks to all of the people involved with ATMC , and I hope that your program continuously bring success and improvement in individuals lives, one person at a time.